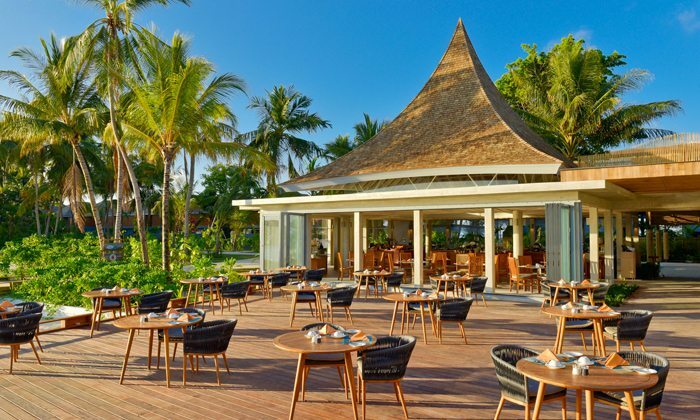 Kuramathi Maldives offers an extensive all-inclusive option, letting guests dine at any of the seven a la carte restaurants or the three buffet restaurants for no extra charge. 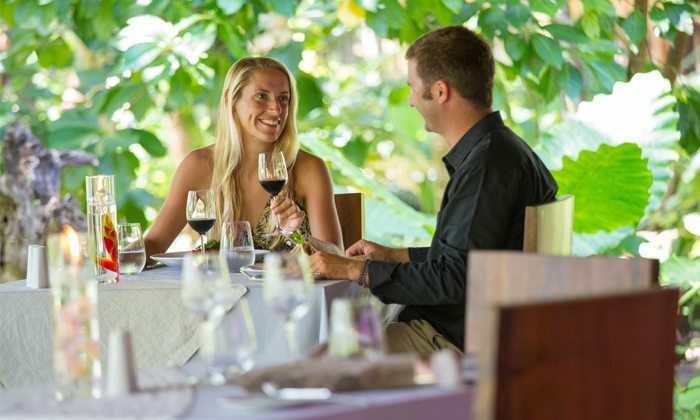 The choice of cuisine and atmosphere is endless, this romantic resort offers romance, fun and relaxation at every mealtime.There are also six Bars dotted around the island providing a full range of drinks day and night with the delicious cocktails being real favourite. 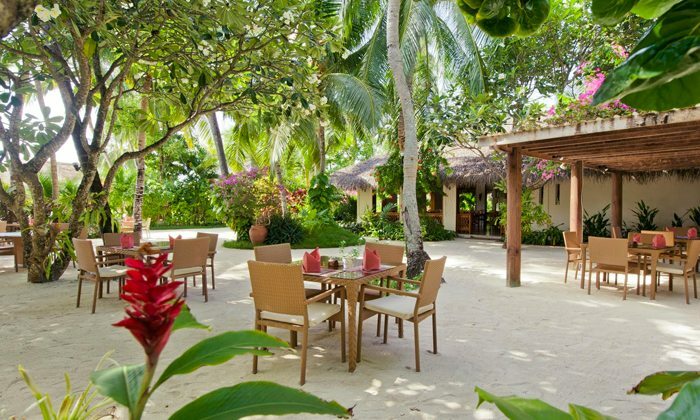 Haruge, Malaafaiy and Farivalhu are the resorts buffet restaurants, open for breakfast, lunch and dinner. 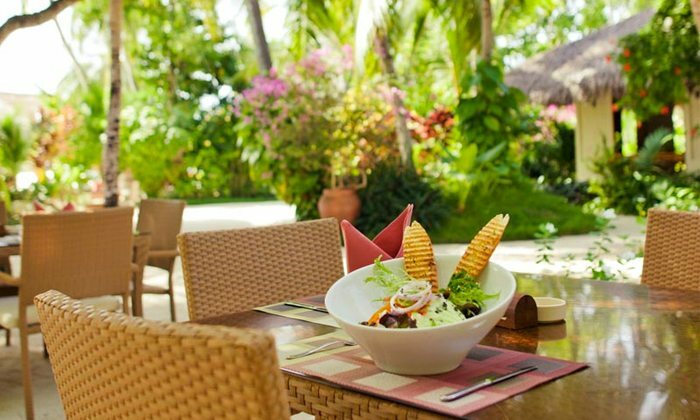 Live cooking stations offer endless choices or pancakes, eggs and waffles for breakfast while themed buffets are offered for dinner. 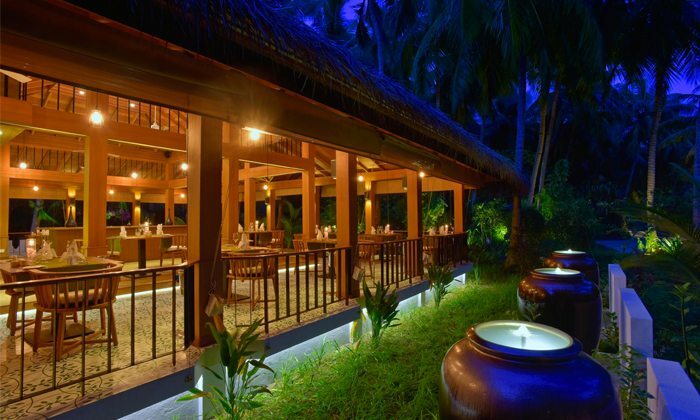 Discover the tastes of Thailand with a meal at Siam Garden; offering an authentic Thai dining experience and delicious food from the four regions of Thailand. 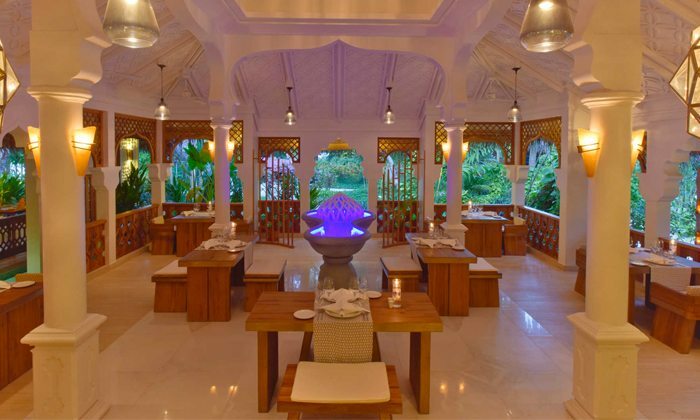 The resort’s Tandoor Mahal restaurant serves traditional tandoori cooking alongside magnificent Indian curry and rice dishes. 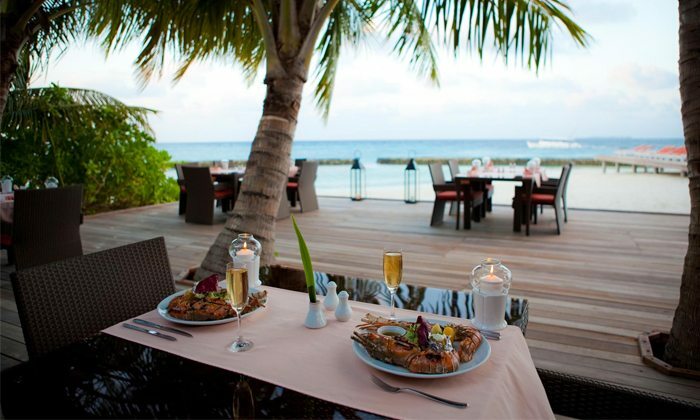 Chefs at The Reef prepare your chosen dinner right in front of you, cooked just the way you like it. 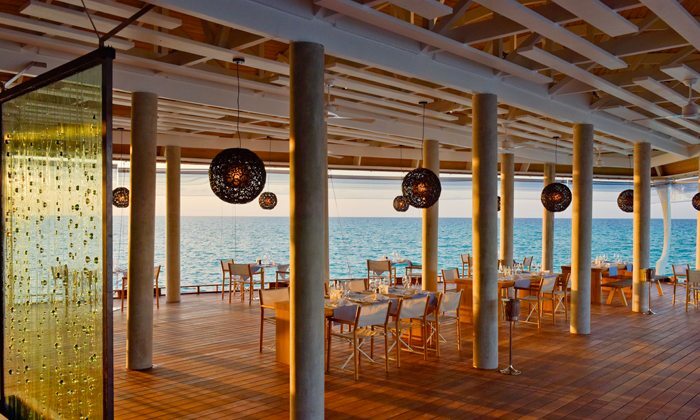 Located on the beach, this tranquil restaurant is the island’s signature seafood restaurant. 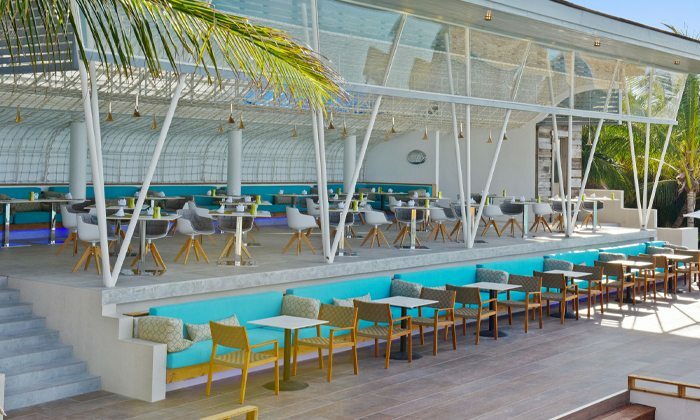 Italian themed restaurant, Palm, serves traditional pizzas, pasta and homemade ice cream in both traditional and tropical flavours. 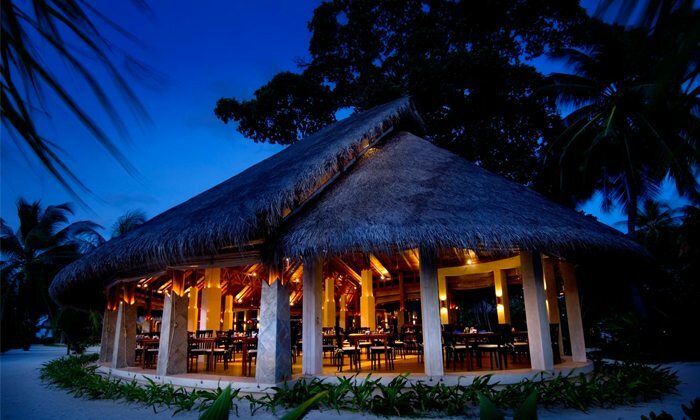 As night draws in the restaurant offers an array of Mediterranean dishes. 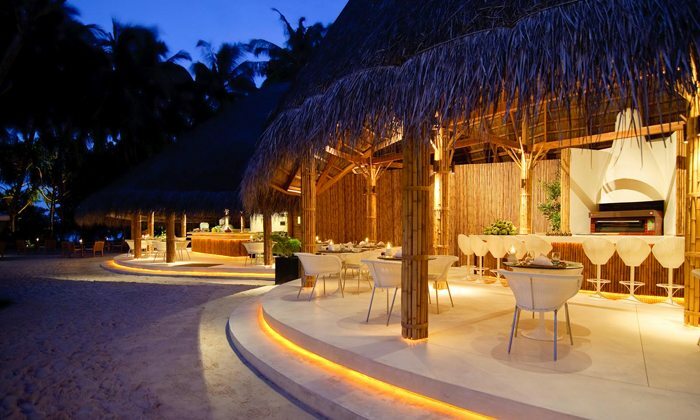 The unique Island Barbeque serves a selection of meats and side dishes cooked to each guests liking. 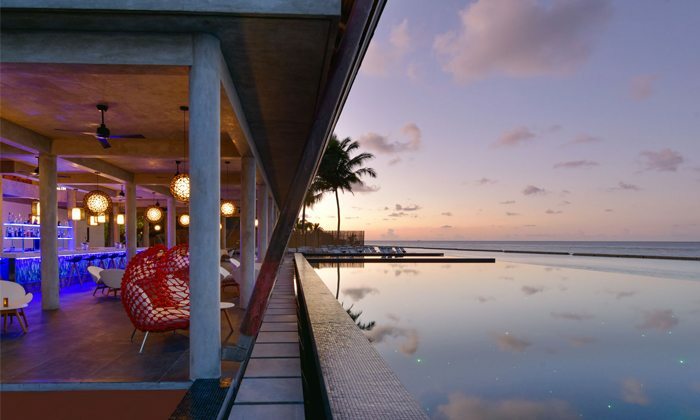 In addition to the fabulous food, breathtaking views of the infinity pool and Indian Ocean are included. 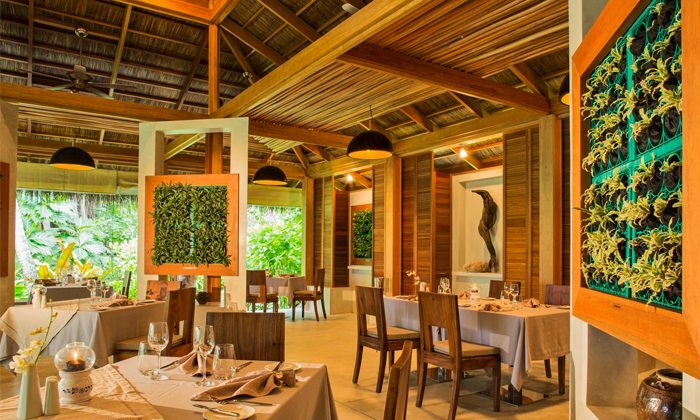 Located at the heart of the island, Duniye boast cuisine from all over the world along with a collection of acclaimed wines. 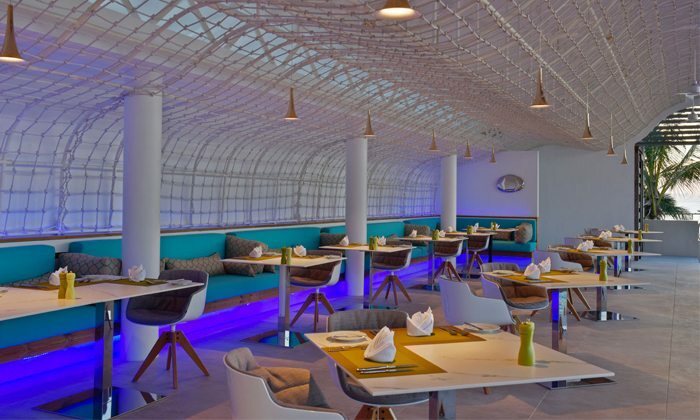 With views of the beautiful infinity pool, this restaurant features international cuisine and a special selection of local curries. 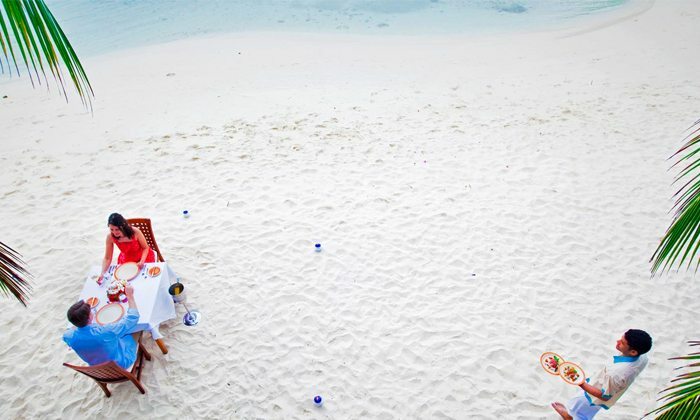 Experience an intimate candlelit dinner for two on the beach with a range of gourmet cuisine especially prepared for you. 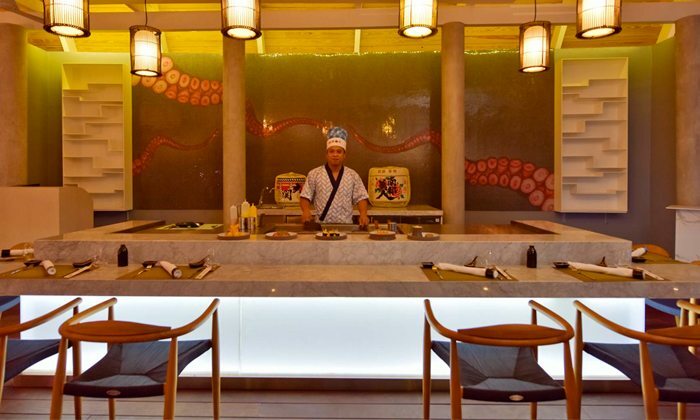 Inguru provides small dining options during the day, and provides a mouth watering Asian Fusion cuisine for dinner. 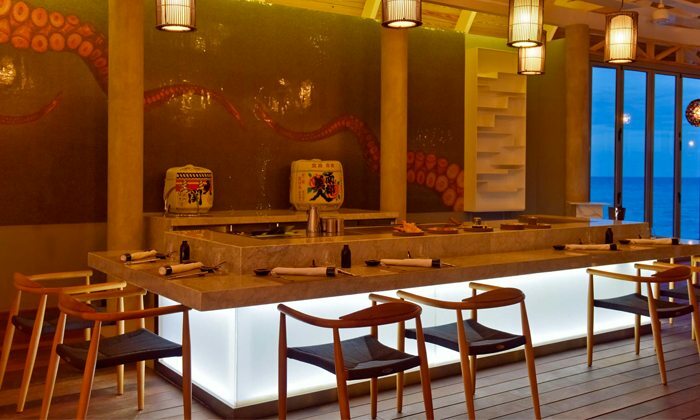 Kobe provides a teppanyaki dining experience, which is completed with a culinary performance. Kobe is amazingly placed over-water. 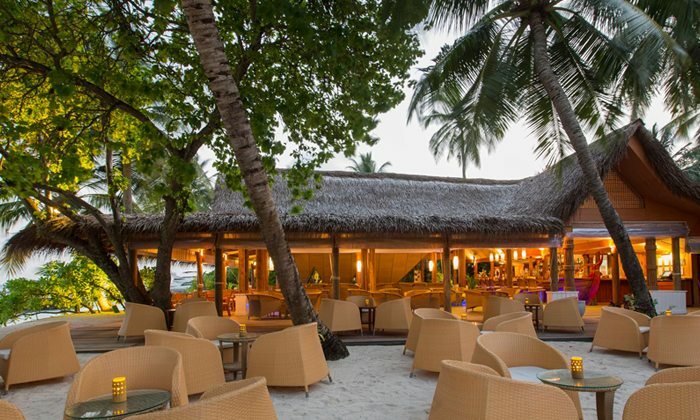 The Sand Bar is situated directly on the beach with a comfortable atmosphere and comfy been bags providing the ideal spot to stargaze whilst sipping your drink of choice. 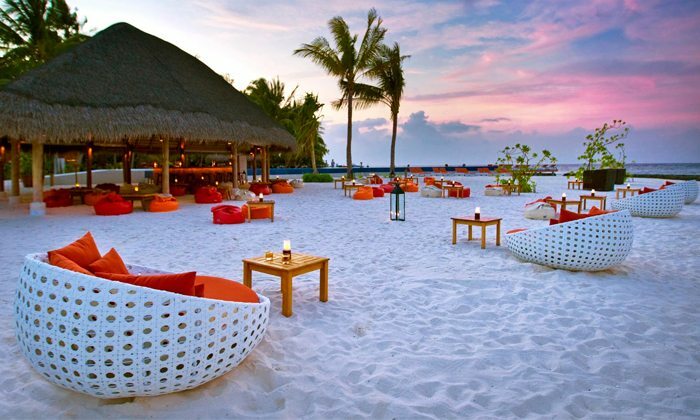 Fung bar is a great place to hang out at any time of the day. 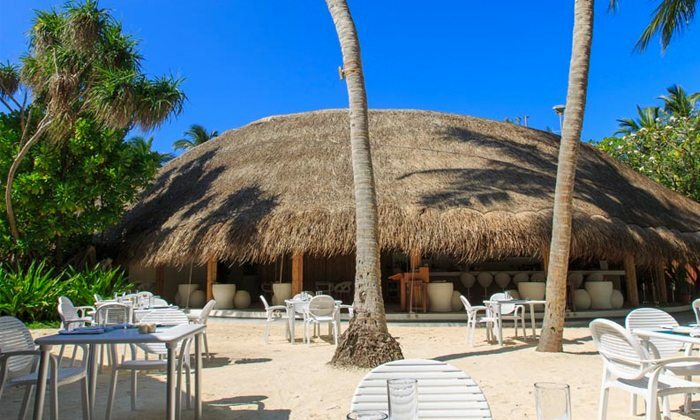 Located directly on the beach this lively bar offers an open-air disco during the evening. 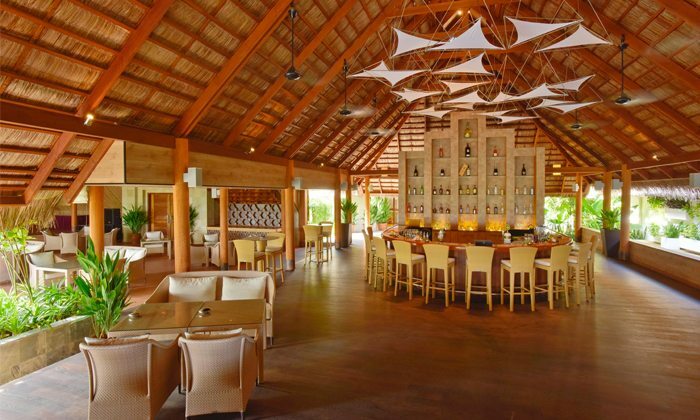 Dhoni Bar is the perfect place to relax and enjoy the panoramic views of the surrounding lagoon. 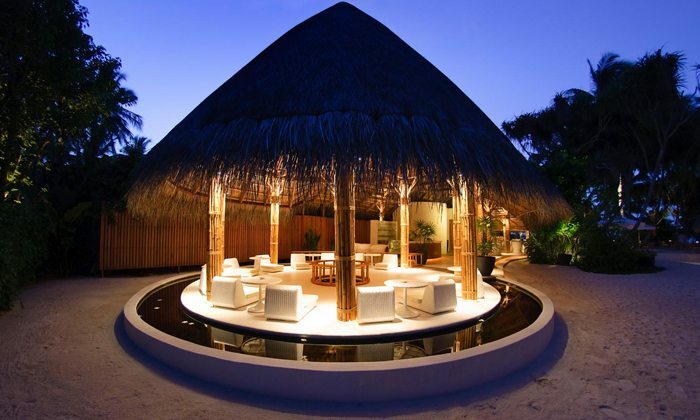 Open form 9am until the last guest leaves at night. 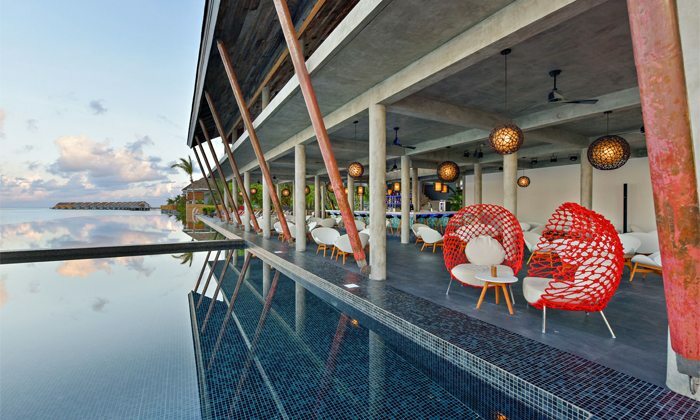 Relax and unwind beside the pool with a range of refreshing drinks and delicious fruit smoothies. The Pool Bar is open from 9am – 8pm. 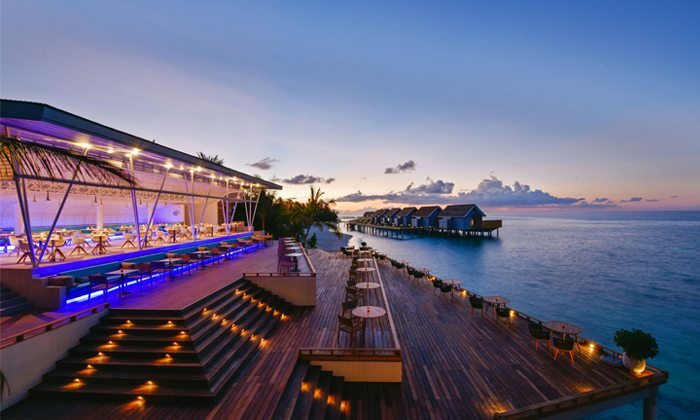 This secluded bar can be found at the far end of the island and is a wonderful location to watch the sun set whilst sipping a drink on the outdoor deck. 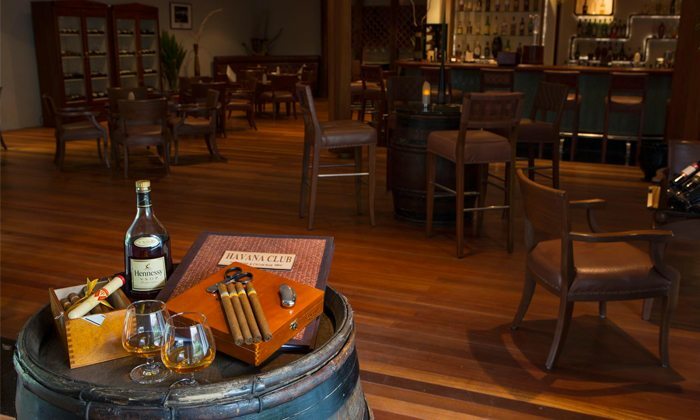 The smart Havana club offers a wide selection of wines from around the world for you to enjoy along with a great choice of nibbles to munch on while you do so. 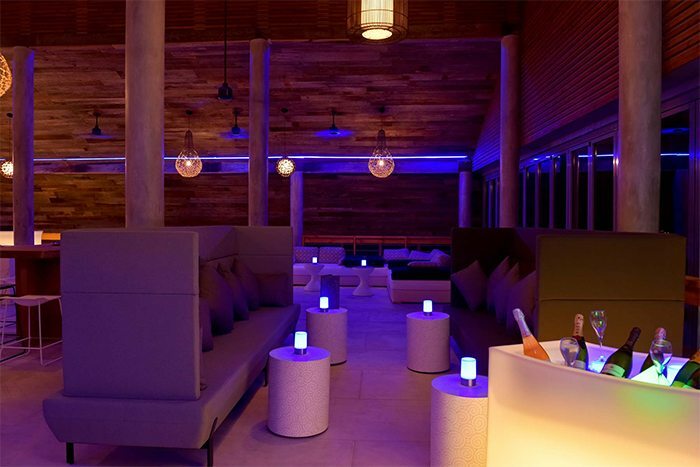 The Champagne Loft offers a variety of champagnes, wines and white spirits, to help create an intimate setting in the bar. 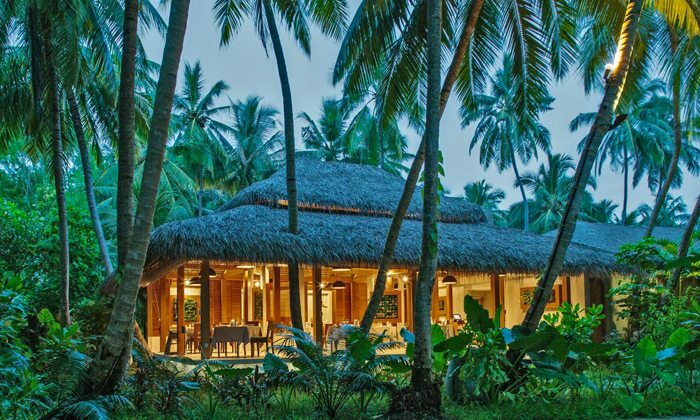 It’s location helps to provide picturesque views of the Indian Ocean.